EyeOn is a dynamic and intelligent platform through which your enterprise can build and manage surveys and gather data in an instant. It allows you to build your own survey campaigns leveraging on your data and offer it as a service to your customers. EyeOn also provides you with the ability to analyze results and produce insights beneficial to your business. 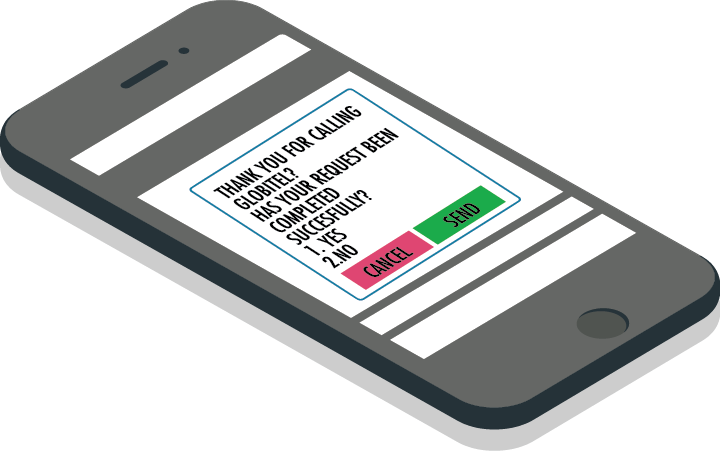 The solution allows you to ask a wider range of questions beyond a simple yes or no answer, build complex logic and offer a rewarding experience to all parties including your customers. And with a guaranteed higher response rate, you are able to gather important feedback from customer efficiently and effectively which leads to vast understanding of your customers. Whether you plan to collect your own customers’ feedback or provide your partners with the tools to build their own campaigns and generate revenues from this untapped domain, you can rely on EyeOn to deliver what you need. With EyeOn, You can learn about customers’ level of satisfaction, how to improve your services, hidden blind spots in your service which harm your business, complete customer profiles, your brand ambassadors and much more. The solution can also help you measure the effectiveness of your touch points by prompting survey questions to be sent to customers as soon as they conclude the service encounter with front-office employees. In addition, your business will be able to precisely identify segments and garner advanced post-analysis and online dashboards related to your customers and survey results. The solution is also extremely efficient in providing the statistics which can contribute to more comprehensive and all-inclusive analytics. Customizable and flexible business model. Unlimited integration points and touch points. Garner advanced post-analysis online dashboards.